#trending: you don’t have to choose between looking cute and staying warm! 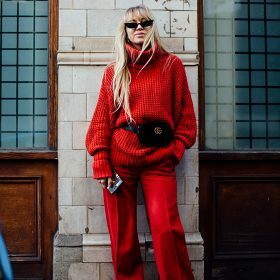 Women's turtlenecks are back in fashion and in this category you will find the latest fashion in turtlenecks from some well known brands and have the opportunity to discover some more under-the-radar shops. Whether you want to wear a cropped turtleneck with a pair of high-waisted jeans or a loosefitting sweater under an OFF-WHITE jacket? If you're shopping for the perfect new women's turtleneck sweater then Fashiola has the best range of cozy and cool styles for you find.